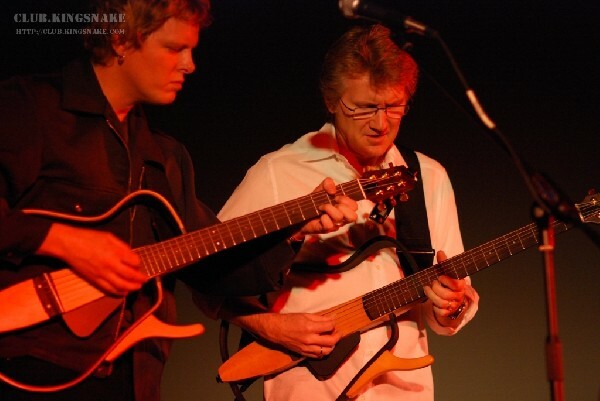 Concert Review: Rik Emmett Trio - King Street Centre for the Arts, Millbrook Ontario. Every now and then the rock gods get angered, and when they do you better watch out. I'm not sure if it was Rik or me they were aiming at but they took some pot shots at us both. The night before I was scheduled to see Rik, I'd been out at another show, and shortly after arriving home my son proceeded to stroll out in the hallway and vomit. This led to me being up with him until about 3 am. The next day was spent in a sleep deprived stupor praying that I wouldn't be struck down with the afformentioned stomach bug and miss Rik's show. 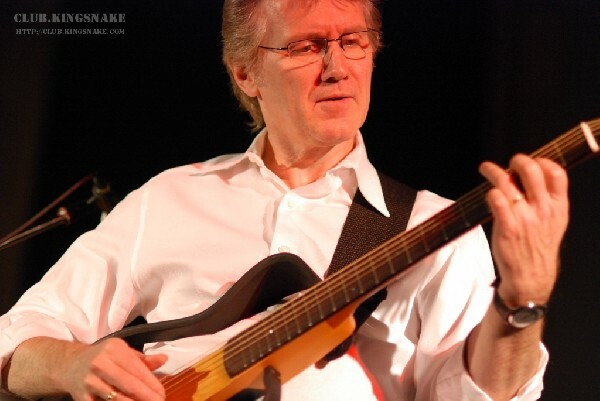 The rock gods must have taken a break that afternoon, as I was able to make it through the day with nothing more than some stomach discomfort, which I now chalk up to nerves and stress over the fact that I might miss my opportunity to meet and photograph Rik Emmett. Rik was playing at a 125 year old church now converted to an "Arts Centre." What a fantastic venue for this type of show! Ah, but the rock gods still had other ideas. Pretty much right at 8 PM, Rik and his trio (Dave Dunlop on guitar, and Steve Skingley on bass and keys) strolled onto the stage. Of course, that was the moment that Dave's guitar chose to go on life support. No amount of cable wiggling, battery changing, and discreet cursing could resurrect the doomed instrument. But the show must go on, and Dave strapped on one of Rik's brand spanky new Yamaha Silent guitars and the show began. Just before launching into the second song of the night, Rik was heard to say something along the lines of "If one of us breaks a string we'll really be in trouble," so of course part way through "Libre Animado," Rik did just that. You've gotta give him credit though for finishing the song sans high 'E' string. Those nasty rock gods must have had their fill of our pain and moved on since after a short break to replace the broken string the show progressed pretty much without a hitch. The guitar playing was nothing short of spectacular. Rik and Dave have been playing together for a long time and this definitely shows. I don't think anyone could help but be drawn in to Rik's playing, as he conveys so much emotion with his body language and facial expressions. Since I was photographing the show I had a pretty fantastic vantage point, at times only feet away from Rik, and I was able to hear Rik singing along (sometimes a counterpoint melody!) during several of his solos. Aside from being a guitar virtuoso Rik, is also a great story teller, and the intimate nature of this event lent itself to his narratives. We heard about Rik's first transistor radio ("Magic Power"), writing songs with too many chords ("Taste of Steel"), memories of Saturday morning cartoons and big bowls of Cheerios ("Two Jigs"), and the struggle to find inspiration for new songs while constantly on the road in the early days of Triumph ("Suitcase Blues"). Let the rock gods bring their worst. In his 30+ years in the music biz, I bet Rik's seen all they have to offer, and nothing was going to stop the guitar at that cool old church in Millbrook. Thanks to Rik and his management for allowing my cameras. Thanks to Dan and Wendy Shaer for their hospitality at the venue.